A year ago some of us had the brilliant idea of a "Castle Ride" in Germany. Well, now here is the event for this. 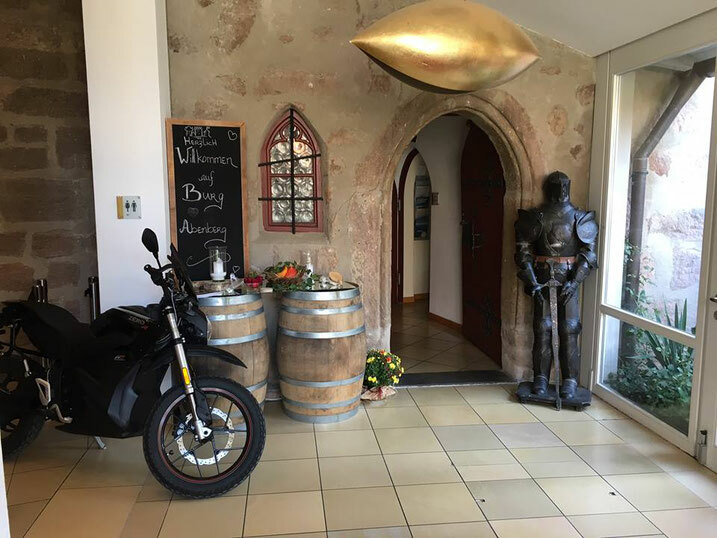 The basic idea is to come together with lots of electric motorcycle riders at an old castle, ride in a pack through breathtaking scenery and have a lot of fun visiting surrounding locations. This is a first "save the date" reminder, so you can block the date in your calendar. The details of this event will be elaborated according to the number of participants, range of our electric horses and of course scenery highlights and nearby charging stations (hopefully). This is a 2-day event. So we will not only ride together, but also have the ability to get to know each other, exchange knowledge about our motorcylces, talk about the electric future and life itself. Overall this event is your chance to meet the riders you usually only know virtual from Facebook. The Location of the event will be the "Altmühltal" in Germany. The Altmühltal is a big area near Nuremberg. It´s well known for beautiful scenery and its old numerous castles. Everyone with an electric motorcycle which is cacable of doing 80 km/h and has at least a range of 80km. The event will be updated soon with more details. Wer teilnehmen will aber kein Facebook nutzt und hier nicht hinkommt, kann mir eine Nachricht hinterlassen, ich leite die Info dann an Fritjof weiter.